our large activity areas every day! Attention and Exercise for your pup on busy days! Click the above button view our online gallery of our 17 acre facility which features indoor climate controlled kennels, a large pond and more! Extra large break/exercise areas with play toys! Plus our state of the art full service bathing salon, The Dirty Dog Salon, featuring our professional bathing staff and state of the art equipment! Dogfather K9 Connections is situated on a 17 acre ranch at 416 Horn Avenue in Santa Rosa, California. We are not your typical warehouse facility with a fancy resort name! Our facility has that complete peaceful country setting and feel that makes your companion's stay enjoyable and peaceful. We are conveniently located off the south end of Santa Rosa Ave, less than 2 miles off U.S. 101. Dogfather K9 Connections invites you to tour our facility, but please call ahead for an appointment. We also encourage you to call with any questions. Our mission is to provide you with peace of mind that your K9 companion will be well taken care of with any of our services. 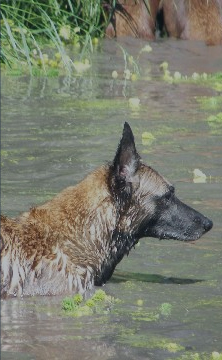 We will provide your K9 companion with a safe, clean, healthy, and fun environment. Your K9 companion is our number 1 priority. We pride ourselves on being a trustworthy place you can bring your K9 companion and FORGETABOUTIT! Website Designed and Maintained by 10-8 Studios.